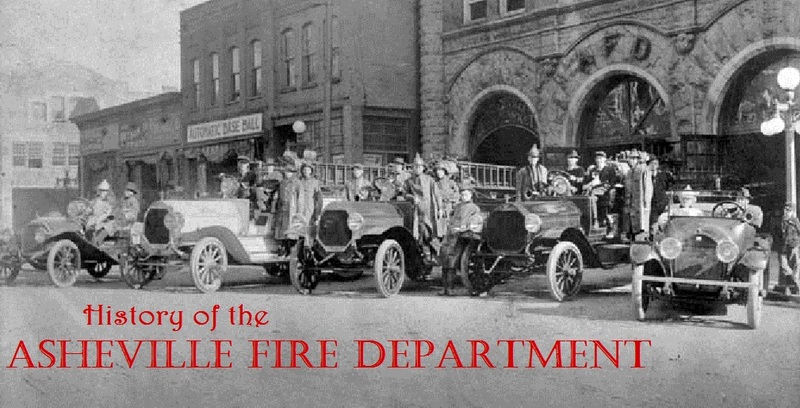 West Asheville was a separate town with its own fire department that was founded in December 1914. 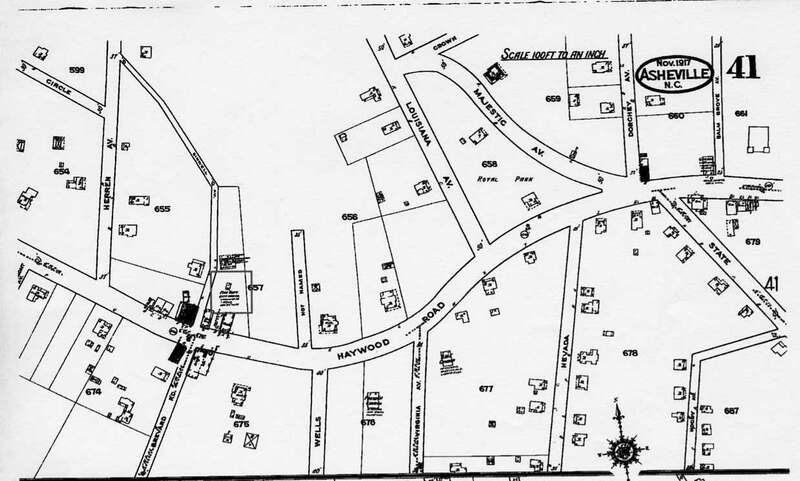 They had a fire station on Dunwell Street at the intersection of Haywood Road and Brevard Rd as seen on the Sanborn Map above. 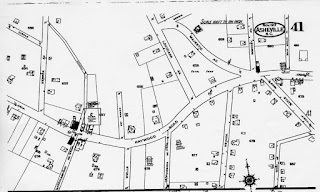 In 1917 West Asheville voted to be annexed by the city of Asheville. When this happened, AFD took over fire protection using West Asheville's fire station. 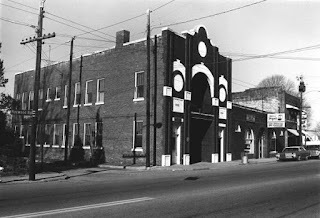 The station was known as the West Asheville station and was operated until World War I when the station was closed due to lack of manpower. On March 27th, 1919 AFD leased the Buckner building (seen in the center left with 4 windows) to house volunteers. Six men slept at the station at night. They used a REO fire truck with 3000 feet of 2.5" hose. The truck was parked behind the building. 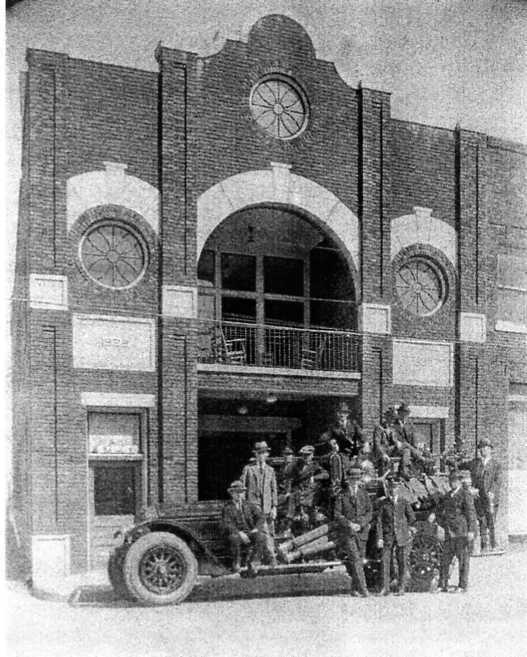 Photo from Pack Square Library NC Collection. 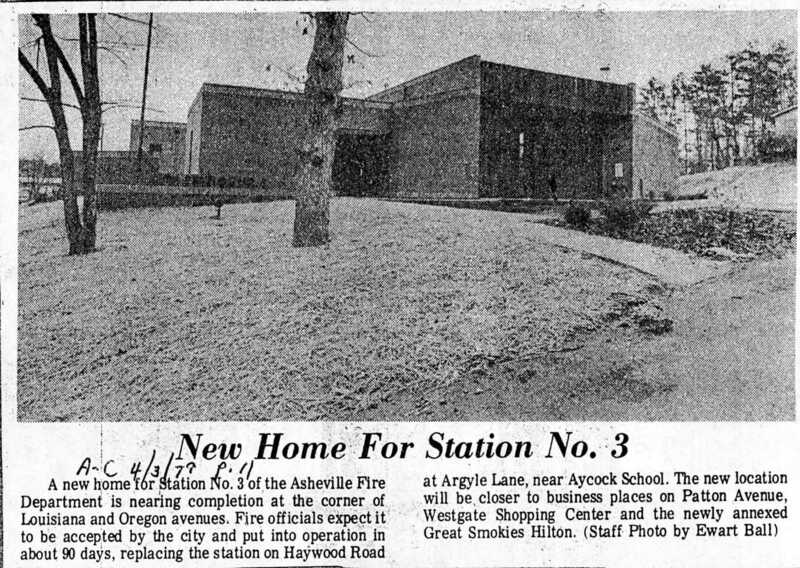 The first permanent AFD station in West Asheville was built in 1922 at the end of the same block as the Buckner Building. By now the building was known as Station 3. This picture was taken on 1-30-76. 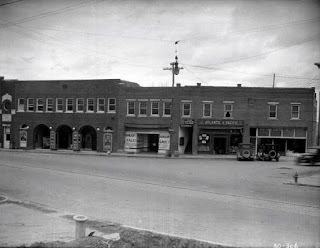 Photo from Pack Square Library NC Collection. 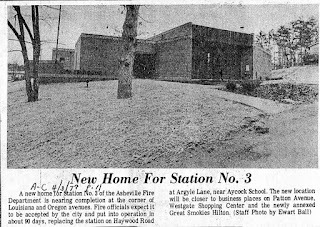 The new (and current) Station 3 opened in July 1979. It was built with a grant from the United States Department of Commerce, Economic Development Administration, under the provisions of Title I of the Public Works Employment Act of 1976. The conditions of HQ downtown were so bad in 1983 that Chief Ball tried to close this station and move the fire department's administrative offices here. It did not happen. Image from the Asheville Citizen.